One of the most influential political thinkers of the 20th century is to be commemorated this summer with a heritage plaque in North London. Cranleigh Street in Camden will be the site of the capital’s latest blue plaque, where George Padmore lived at no. 22 from 1941 to 1957 with his partner and collaborator, Dorothy Pizer. The address was a big part of the political landscape of pre- and post-war London , becoming a focal point for anti-colonial activists from around the world. 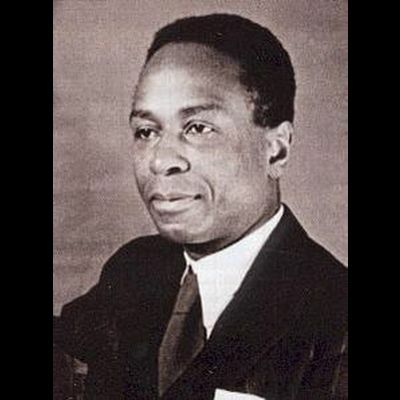 George Padmore was born Malcolm Ivan Meredith Nurse in Arouca, Trinidad , on the 28 June 1903. He worked as a journalist until 1924 then left for university in the USA , intending to study medicine. However, he changed his mind switching to political science and then on to law at Howard University . However, he did not complete his degree, as the Communist Party, which he had joined in 1927, sent him to Moscow . There he served on the Moscow Council before being sent to Vienna then Hamburg on Party affairs. However, with the lead up to WW2, the USSR’s politics on western colonialism changed and a disillusioned Padmore resigned from the Communist Party. He moved to Britain continuing his work as an anti-imperialist and pro-equality journalist writing for African, African-American and Caribbean newspapers, and publishing books and newspapers in the UK . In 1945, he was the main organizer the legendary Fifth Pan African Congress to campaign for independence for all colonies. When Ghana became the first West African colony to gain independence in 1957 Padmore moved to Ghana to take up the position of Advisor on African Affairs to Nkrumah, now the first president of the independent country. George Padmore died after a short illness in London on September 23, 1959, where he’d gone to receive medical treatment. The plaque was organized by the Nubian Jak Community Trust, in collaboration with High Commissions of Trinidad & Tobago and Ghana respectively, and Camden Council. It will be unveiled 98 years to the day that Padmore was born. The unveiling will be performed by His Excellency Garvin Nicholas – High Commissioner of Trinidad & Tobago, His Excellency Professor Kwaku Danso-Boafo – High Commissioner of Ghana, His Worship Councillor Abdul Quadir – Mayor of Camden, and Jak Beula, along with members of the public and press.